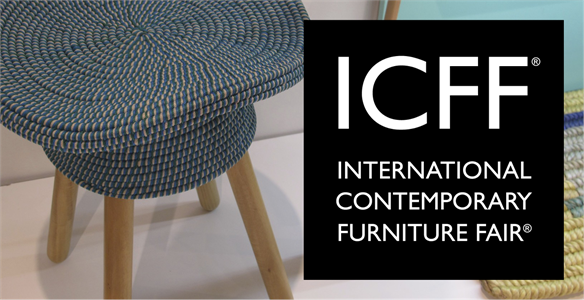 Boasting record attendance and 130 new exhibitors, the International Contemporary Furniture Fair (ICFF) remains North America’s leading platform for commercial domestic design. 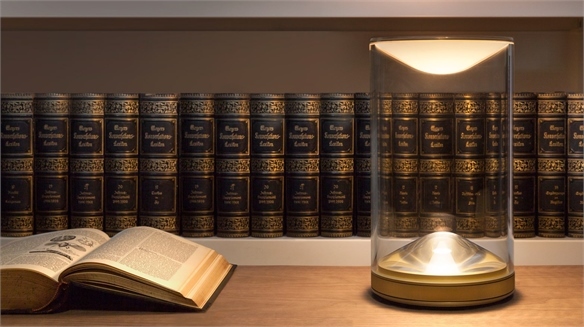 Contemporary lighting brands continued to dominate innovations, while a number of locally manufactured brands made their debut. We select the homegrown highlights. 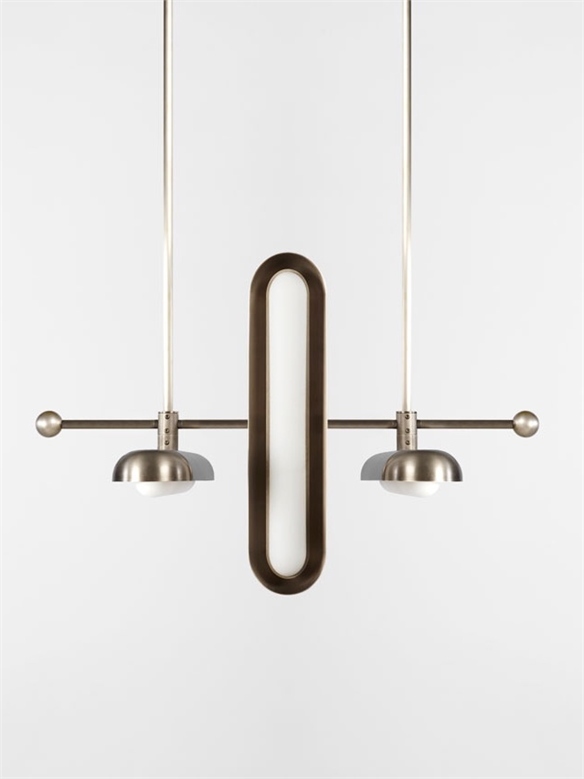 New York lighting studio Rich Willing Brilliant debuted its creative partnership with US architect David Rockwell. The minimalist collection includes Witt, a geometric interpretation of a chandelier made up of modular brass cubes; and Phase, a glass sconce inspired by the last quarter of the moon – half brightly lit, and half with a reduced glow caused by a smoked chrome coating. 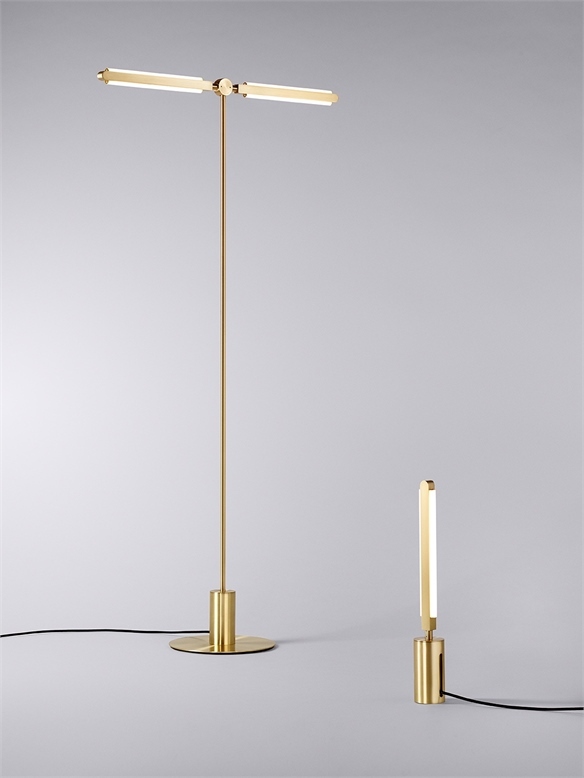 Brooklyn-based Pelle has extended its Pris modular range to include a polished brass floor and table lamp. 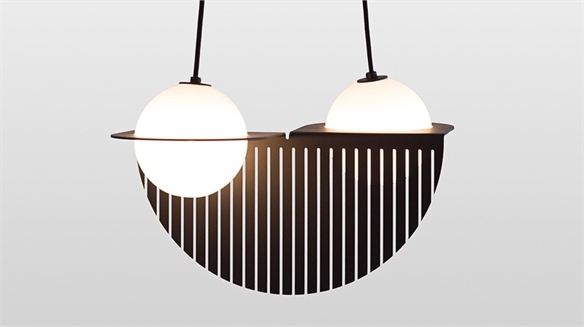 Meanwhile, NY studio Apparatus presented its Circuit series, which creates a visual rhythm by multiplying a simple oval shape throughout its 10 hanging variations. 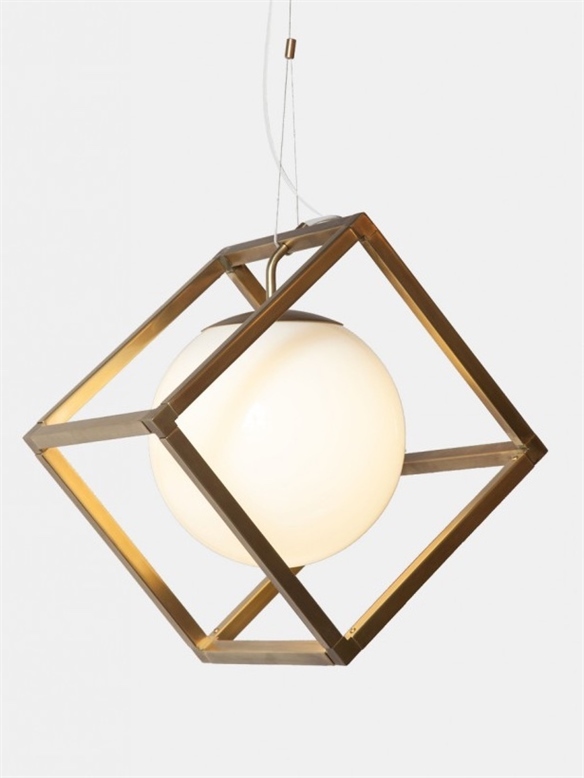 Brooklyn lighting designer Rosie Li and Montreal studio Lambert et Fils both debuted sculptural pendants. 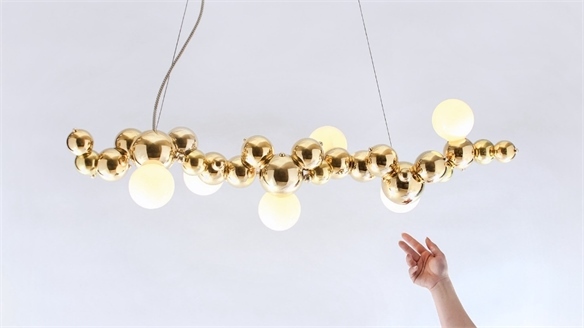 The former presented a snaking line of brass “bubbles” inspired by cluster patterns found in nature, while the latter combines opalescent glass spheres with an Art Deco-inspired semi-circle in chrome and acrylic. For more attention-grabbing lighting, see Milan 2016: Furniture & Lighting. 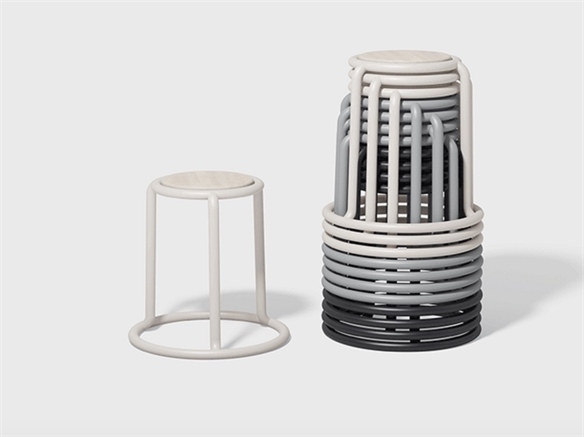 Winner of the ICFF Best Portable Design Award, Champ is a reimagining of the utilitarian stackable stool, designed by NY industrial design studio Visibility for Manhattan store Matter Made. 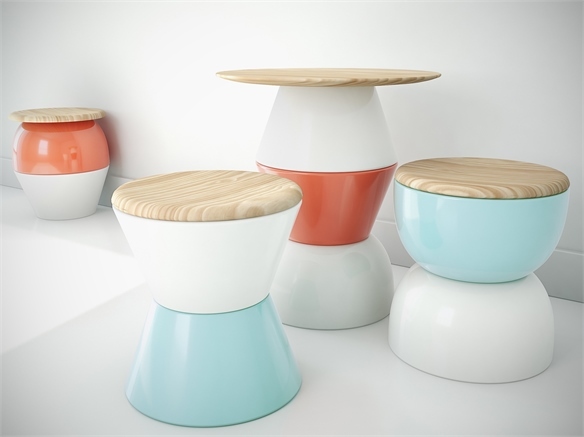 Available in an array of colours, when stacked, the steel and wood stools form a rainbow-like graphic spiral. The Re-Configure Collection by Philadelphia-based Mio features small tables and stools that consist of multicoloured powder-coated spun steel bases and ash-wood tops, which can be assembled into hundreds of functional configurations. For more on portable and flexible furniture, see Neocon 2015 and The Living Workspace. Winner of the Best Seating category, Mellow by French designer Océane Delain for US manufacturer Bernhardt Design is a deceptively simple-looking customisable seat. 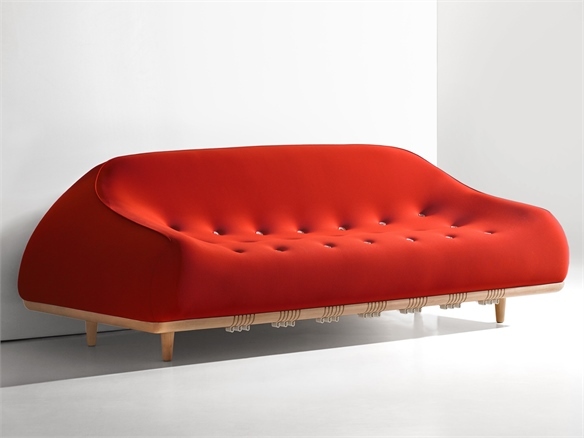 Featuring memory foam atop a wooden base, buttons are incorporated into an adjustable cord system, which allows the user to change the shape of the sofa. 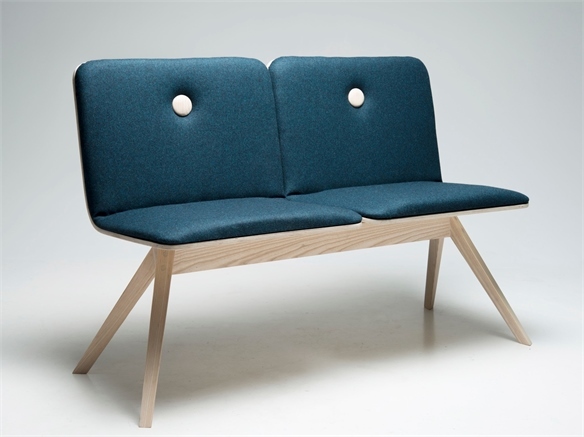 Similarly adjustable, Norwegian designer Caroline Smedsvig’s Ask double seat has two adjustable tilted back panels, allowing two people sitting together to achieve customised comfort. 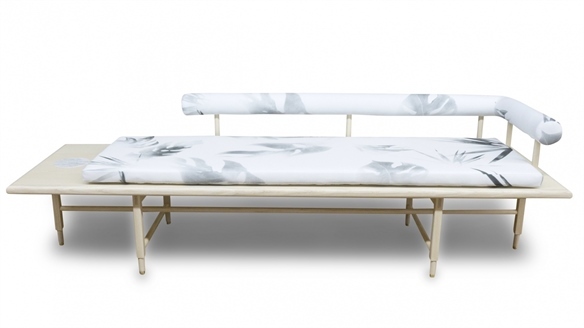 Winner of the Best Newcomer Award, New York brand Coil + Drift debuted its contemporary Scandinavian-inspired Sylva Daybed, which is made in the US from White Oak. 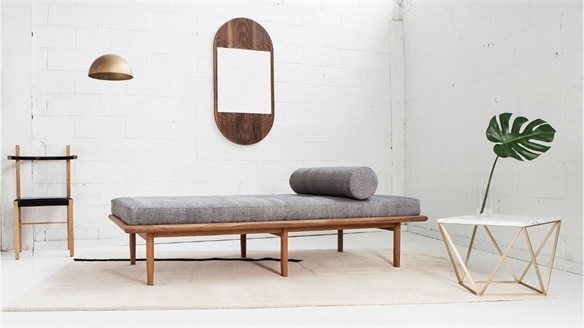 Similarly designed and made in the US, Volk’s St Charles series features a daybed in bleached or blacked solid and veneer ash wood and marble, with a cork or antique mirror inset. 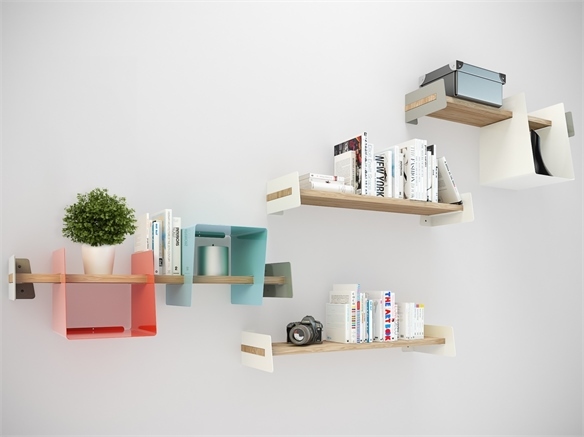 The Triplet wood and coated steel shelving unit by Toronto-based design company Umbra Shift features a moveable back panel for configuring multiple units as temporary room dividers. 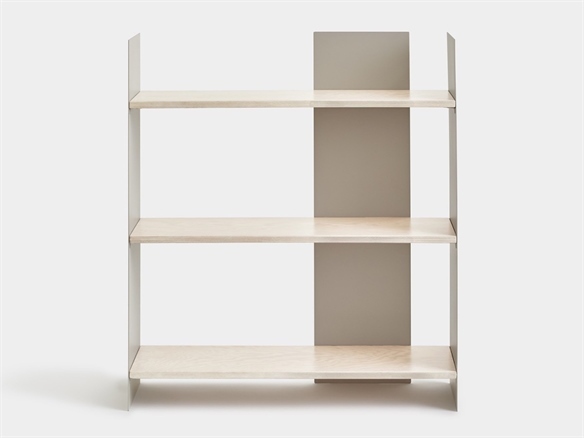 Similarly adjustable, Mio’s Slide ash wood and steel shelving system is designed to fit into a world where consumers’ storage needs constantly evolve as objects become increasingly digital. Modern flexible and clutter-free lives are further explored in Milan 2016: Lifestyle Trends. 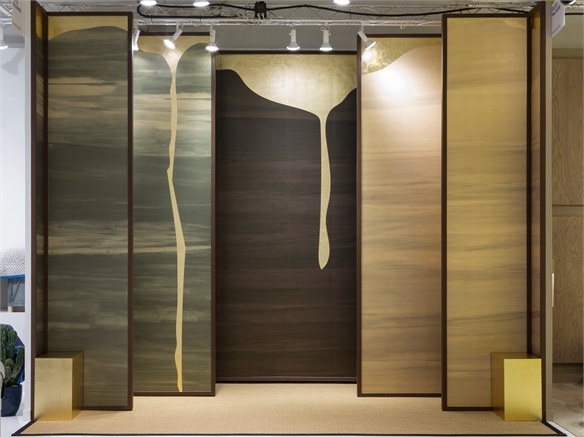 A highlight of the show was New York-based Calico Wallpaper’s Satori collection, which explores the ancient Japanese craft of Kintsugi. 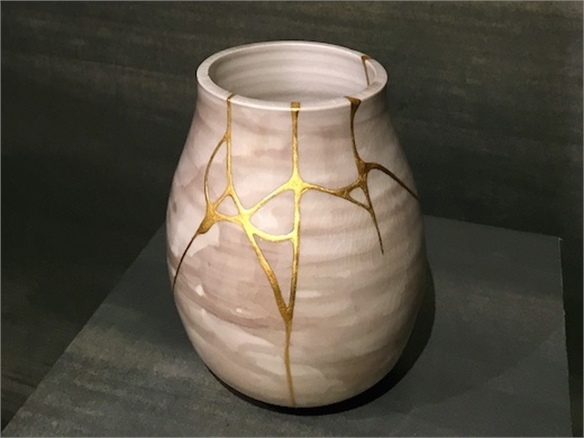 Damaged pottery is rejoined using a lacquer technique and finished with gold gilding to highlight the repair as part of the object's history. 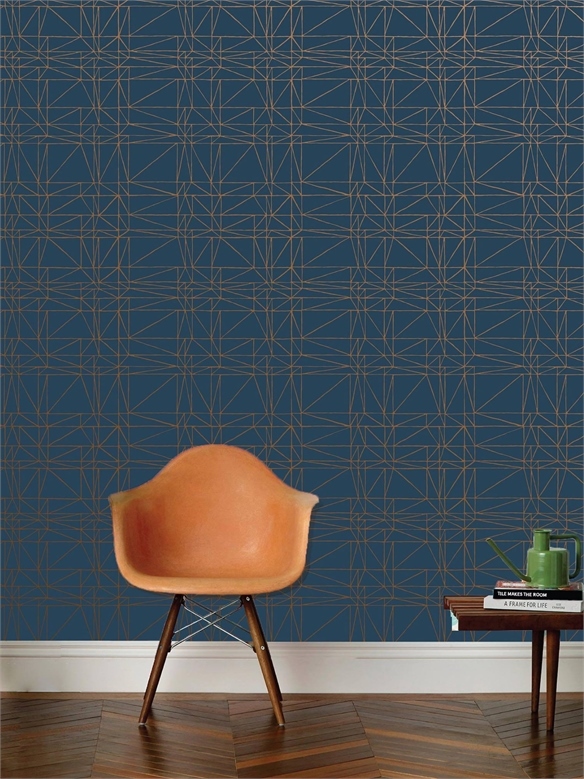 California-based cult ceramics brand Heath debuted its first geometric wallpaper collection, designed in collaboration with US-based wallpaper design studio Hygee & West. 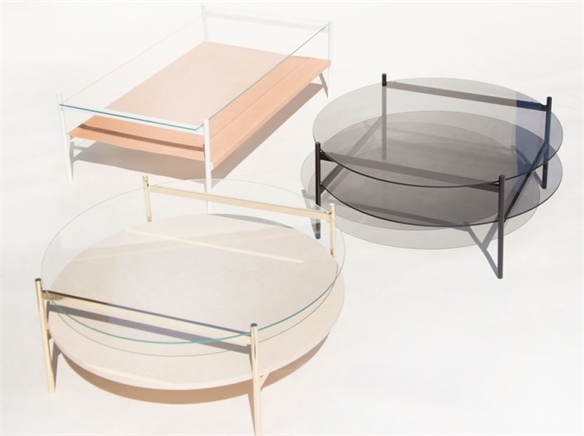 Florida-based product design studio Yield showcased its US-made Duotone coffee-table series, which is built on a modular hardware system that holds two customisable surfaces, available in smoked glass, leather and Birchwood. 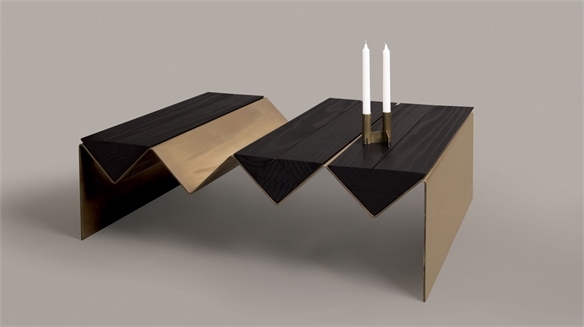 Volk also presented its St Charles Cocktail table, which, like the daybed, is available in bleached or blacked ash wood and marble with a cork or antique mirror inset. 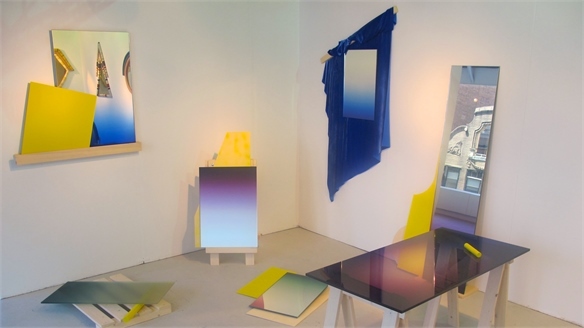 LDF 2016: Lifestyle Trends LDF 2016: Lifestyle Trends London Design Festival plays host to a roster of fresh designs and curated exhibitions across the full range of product categories. Our round-up of the key lifestyle trends highlights new directions for urban living and working, inclusive design and enhanced sustainability. Minimalist Furniture for Modern Rituals Minimalist Furniture Australian design studio Page Thirty Three has launched its third collection: Use Your Illusions draws inspiration from cinema and futuristic mid-century modernism. Foster + Partners: The Eva Light Foster + Partners: The Eva Light British architecture firm Foster + Partners has produced Eva – a floating cone of light that emits a warm glow similar to candlelight. 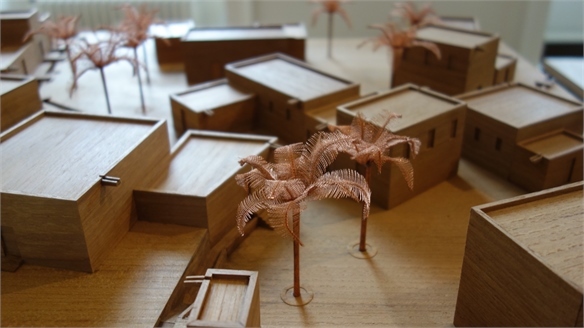 NYCxDesign 2016 NYCxDesign 2016 NYCxDesign has grown in size and impact with a citywide roster of design expos, satellite events and exhibitions drawing in some of the best in established and emerging international design talent. We round up the key trends and highlights. 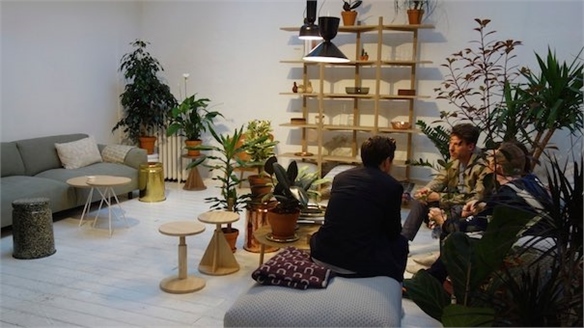 Milan 2016: Lifestyle Trends Milan 2016: Lifestyle Trends Milan Design Week plays host to a roster of fresh design and curated exhibitions across the full range of product categories. Savvy brands realise the benefit of pairing with, and acting as a platform for young design talent – bringing contemporary solutions to urban dwellers and reviving the craft sector. 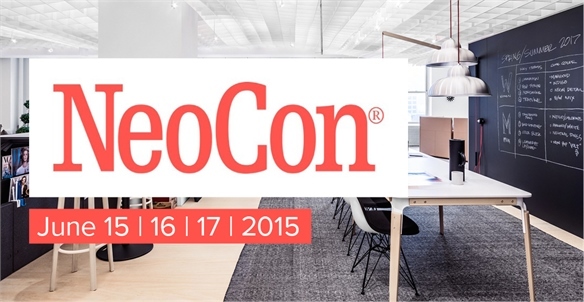 Neocon 2015 Neocon 2015 From nimble microenvironments, to charging solutions and at-desk activity-monitoring technologies, NeoCon 2015 heralds the advance of the smart office. We look at the key strategies and trends from this year’s show. 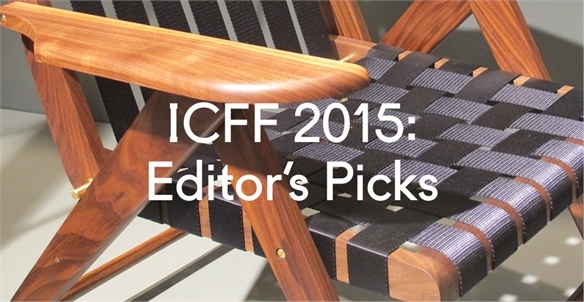 ICFF 2015: Editor's Picks ICFF 2015: Editor's Picks As the premier North American showcase for global design, the International Contemporary Furniture Fair (ICFF) remains a platform for home-grown talent, with US brands honing a clear, refined characteristic that is desirable overseas. 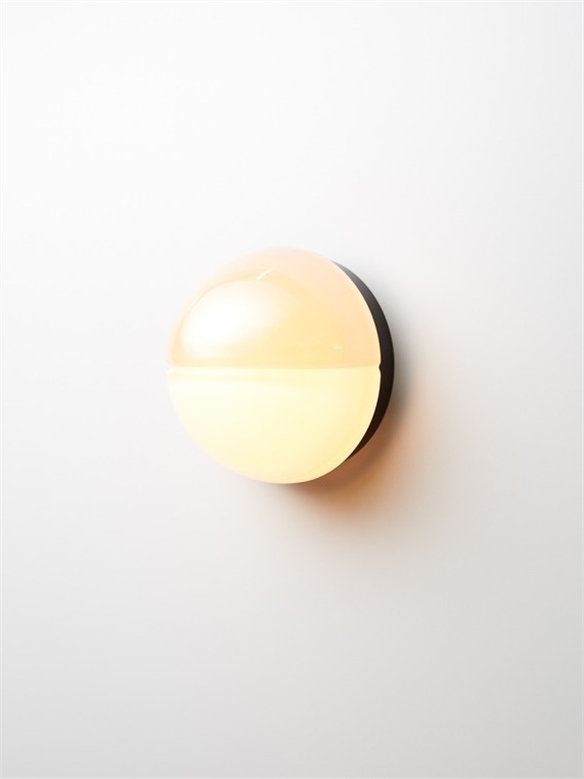 Contemporary US lighting brands once again lead the way, combining the latest in LED technology with original designs. We round up the key trends and highlights from this year’s show. 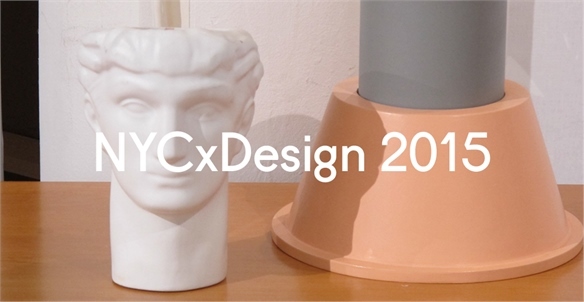 NYCxDesign 2015 NYCxDesign 2015 Under the banner of NYCxDesign, New York’s sprawling celebration of design unites a packed schedule of events, shows and product launches across the city. 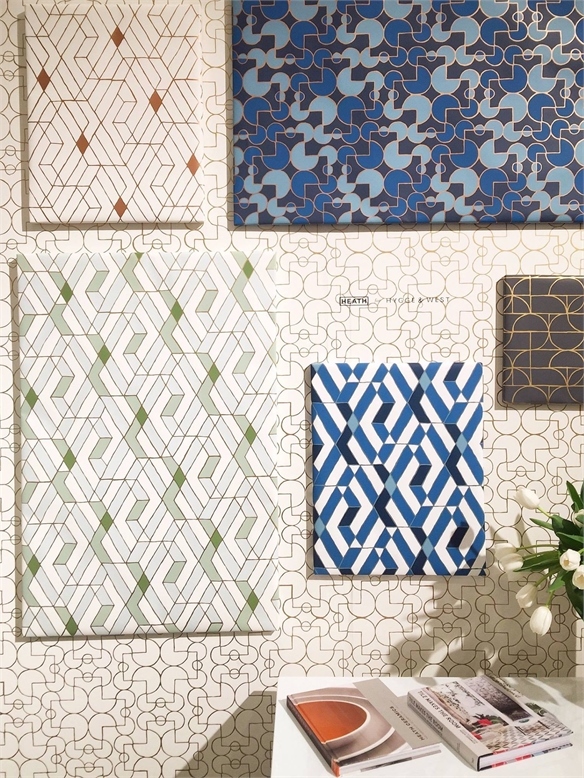 Our Editor’s Picks rounds up the key trends and highlights from ICFF, the National Stationery Show and exciting satellite events happening around town. 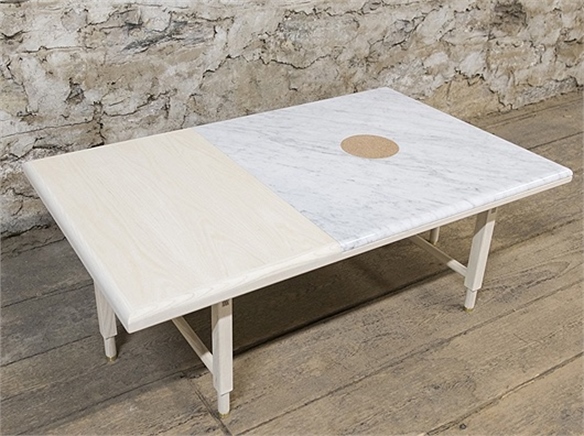 ICFF 2014: Editor's Picks ICFF 2014: Editor's Picks The 26th annual International Contemporary Furniture Fair (ICFF) in New York offered a fuller programme of homegrown and international brands. Alongside the expected gamut of traditional furniture, the show gave space for contemporary brands to shine in the field of lighting innovation. We round up the key trends and highlights from this year’s show. 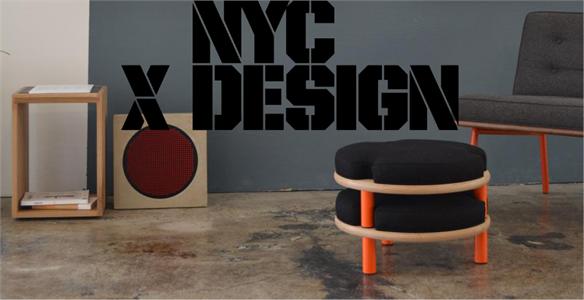 NYC x Design 2014: Editor's Picks NYC x Design 2014: Editor's Picks Running concurrently with the International Contemporary Furniture Fair (ICFF), New York’s sprawling celebration of design unites a packed schedule of events, shows and product launches across the city. Our Editor’s Picks rounds up key trends and highlights from the week. Milan: Moroso Milan: Moroso Italian furniture brand Moroso’s brightly coloured stand was a highlight of the show. 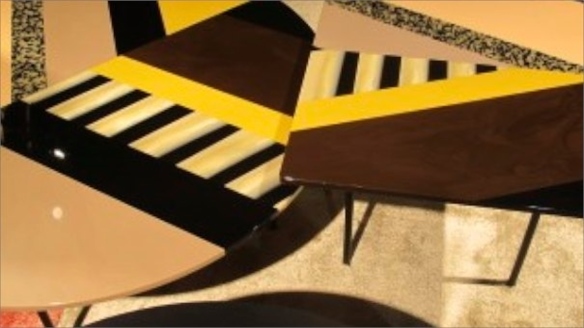 These vintage-inspired low coffee tables, which employ large-scale geometric patterns in a variety of eye-popping colourways, caught our eye.